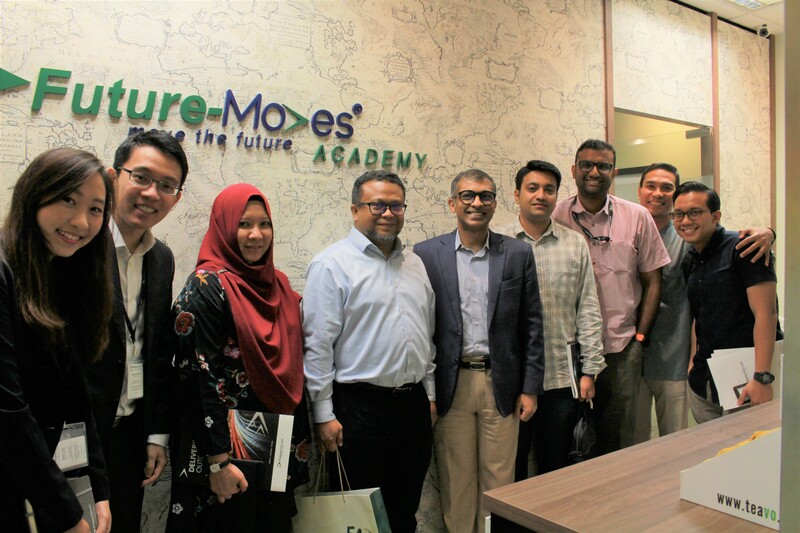 The Future-Moves Group was honoured to host a team from Majlis Ugama Islam Singapura (Muis) at the Future-Moves Academy (FMA) today. The Muis team was headed by Mr Zalman Putra Ahmad Ali (Director, Policy & Strategy) and represented by officers from Policy & Strategy, and Corporate Services. The FMG team shared an overview of our company, and had a fruitful discussion with the Muis team on opportunities for future collaboration.